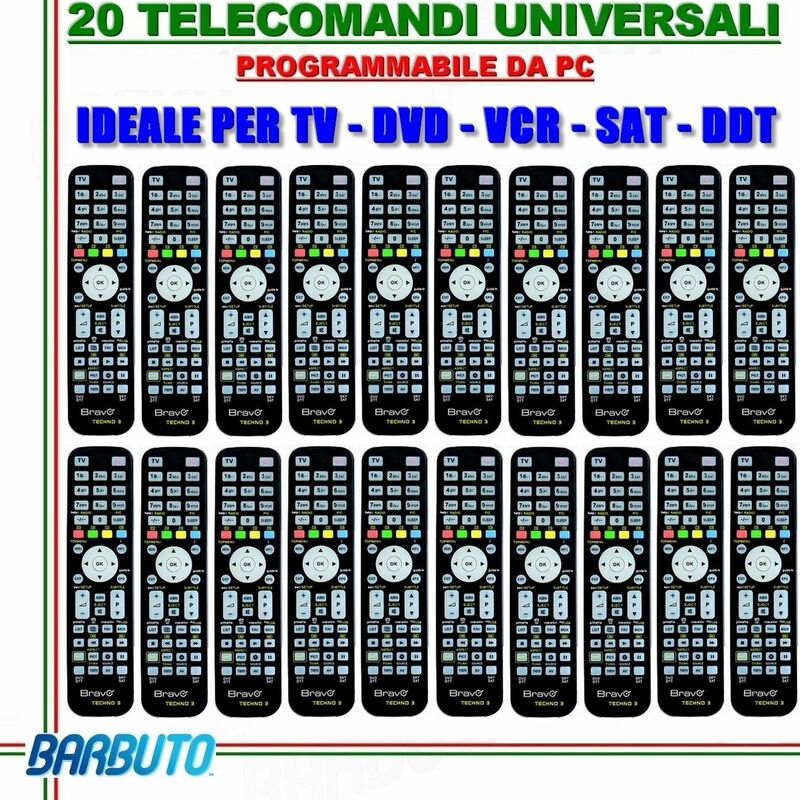 20 TELECOMANDI UNIVERSALI PROGRAMMABILI TRAMITE PC, OTTIMI PER HOTEL B&B ECC. KIT COMPOSTO DA 20 TELECOMANDI UNIVERSALI PROGRAMMABILI OTTIMO KIT UTILIZZABILE DAGLI HOTEL, AGRITURISMI O BED & BREAKFAST PER SOSTITUIRE I TELECOMANDI ROTTI O RUBATI. 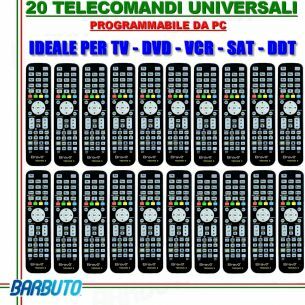 I TELECOMANDI SONO SEMPLICI DA PROGRAMMARE E SI POSSONO RIPROGRAMMARE ALL'INFINITO BASTA SOLO INSERIRE LA MARCA ED IL MODELLO NEL SOFTWARE APPOSITO. IL SOFTWARE E' GRATUITO ED AUTO AGGIORNANTE E SI ARRICCHISCE SEMPRE DI NUOVE MARCHE, MODELLI E TIPI DI APPARECCHI DA PROGRAMMARE, SEMPRE GRATUITAMENTE. IL SOFTWARE ED IL PROGRAMMATORE SONO INCLUSI IN QUESTA INSERZIONE. I TASTI SONO GRANDI E COMODI DA USARE.